uh ohh, breakdown! – RV Cheaper! July 10, 2014 December 29, 2014 RV Cheaper! On our way home, we had a breakdown on the road and tested out our roadside assistance. 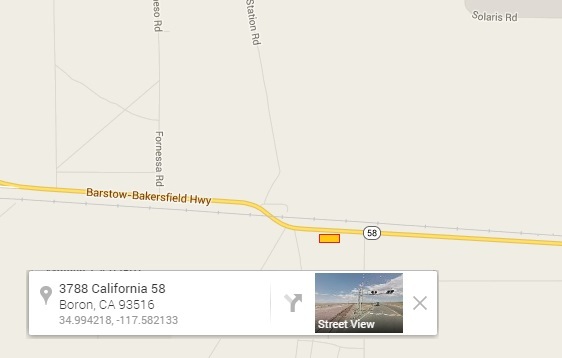 We were cruising along California 58 heading for Barstow to catch I-40. We were just west of Boron (home of the 20 mule team). just after passing Kramer Station Rd the highway made a wierd jog to the right to cross over to the south side of the railroad tracks. I could tell it would be a rough crossing so I let off the pedal to cross the tracks with as little banging as possible and once I crossed I stepped on the accelerator and felt no power. I looked down and the tachometer is reading zero but I had oil pressure! I shifted into neutral oil pressure dropped to zero and coasted along until I found the widest level area I could find to stop on the side of the road. Once stopped I put it into park and tried to start the RV. It cranked over just fine but no sign of life, had to be no fuel or no spark. I checked fuses as best I could but most were hard to see, hard to get to or would not come out with my fingers. The shop found a blown fuse for the engine computer. After replacing and after blowing the 15 amp fuses, they tried a 40 amp and it was instantly toasted and they realized there was a really bad short. They spent four hours trying to trace down the short and found it under the cruise control bracket that had broken and vibration led to 4 severed wires. After repairing the wires, they welded up the bracket and saved me a bunch of money and time compared to ordering a new bracket. We only lost one day of travel and I am so glad they were able to get us going this fast given the scope of the problem and the amount of work they had going on. 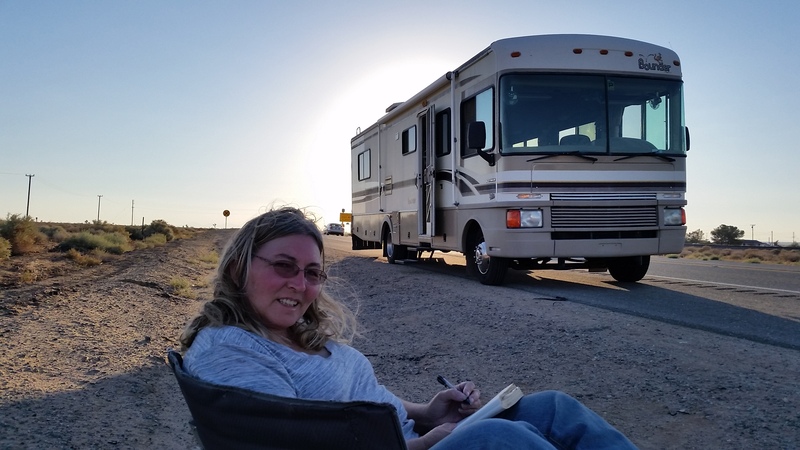 Since we couldn’t get the RV any further off the road, we took a safer spot in the shadows (was 104 degrees in Mojave California this day). 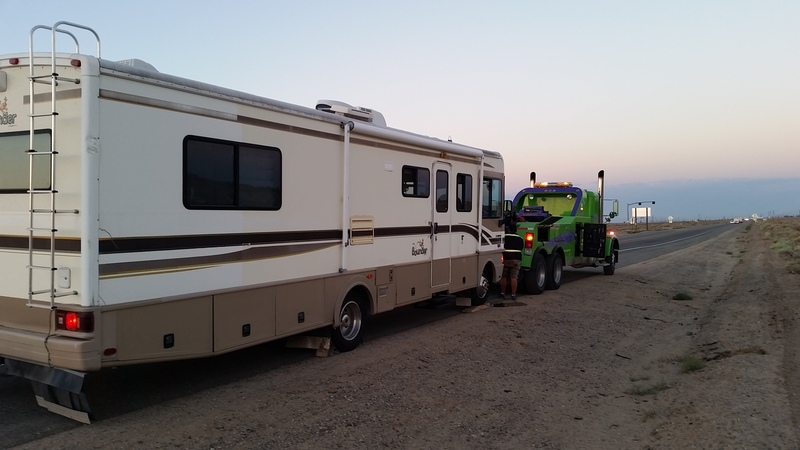 We had about a four hour wait since the first tow company to claim our call only had a normal tow truck even though the roadside assistance provided the size & weight of our RV. This second guy had to come from 80 miles south to tow us! Looks like named streets, but those are mostly just dirt trails from what I remember.